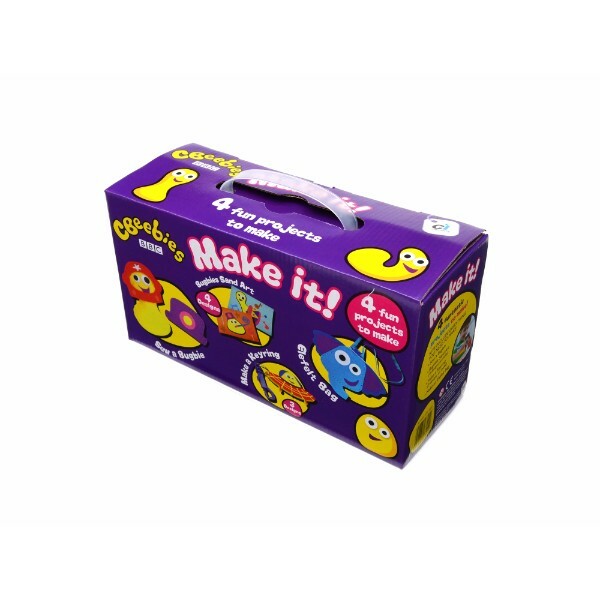 This 'CBeebies' Craft Kits Multipack includes four different projects, each including all you need to create some fun pieces! Sew a Bugbie - your very own Bugbie to make, play with and dress up! Bugbies Sand Art - 4 funtastic Bugbie sand art scenes, to make! Make a Keyring - 3 funtastic space designs to make, wear and use! Elefelt Bag - A funtastic Elefelt bag to make! The well-packaged case with carry handle contains everything you need to make your CBeebies friends. Children will love carrying it around; ready to find a place to sit and begin crafting!